A view of the Penobscot River can be seen from Indian Island, Dec. 9, 2016. The U.S. Environmental Protection Agency wants to rewrite its own water quality standards for the Maine rivers where members of the Penobscot Nation and Houlton Bands of Maliseets have sustenance fishing rights. After unsuccessfully negotiating with Maine’s Department of Environmental Protection, the federal agency in December 2016 imposed stricter criteria for the Penobscot and the Meduxnekeag rivers. The Trump administration wants to revisit the stricter standards promulgated by Obama-era officials for the rivers that flow through or around tribal lands in Penobscot and Aroostook counties, according to documents filed in federal court in Maine. U.S. District Judge Jon Levy will hold a hearing at 10 a.m. Tuesday at the Edward T. Gignoux U.S. Courthouse in Portland on the EPA’s motion to stay a pending lawsuit over the standards so Trump appointees can, tribal members fear, rewrite them. Maine sued the EPA in 2014 over what were then proposed standards alleging that once enacted, the rules would create a double standard for water quality in Maine — one for tribal waters and another for the rest of the state. Historically, Maine’s tribal members have consumed fish and other food sources from the Penobscot, Meduxnekeag and other rivers at much higher rates than the general public, according to court documents. The intent of the higher standards in tribal waters is to decrease pollutants, including mercury and dioxins, that make higher-than-average fish consumption unhealthy. Maine estimated a fish consumption rate of 1.14 ounces per day for native populations, court documents said. The EPA found that rate was inaccurate and adopted water quality standards to protect the health of tribal members at a consumption rate of 10 ounces of fish per day. Lawyers for the tribes support the current standards and oppose the proposed stay and a reconsideration of the rules. “The agency’s motion does not attempt to cloak the fact that the decision to reconsider its position is entirely politically motivated,” Kaighn Smith, the Portland attorney representing the Penobscots, said in the tribe’s response to the motion to stay. Attorneys for the Maliseets agreed. Jane G. Steadman, a Seattle attorney representing the Maliseets, said in her response opposing the stay that since Trump’s election, the EPA already reviewed the standards and supported them. The state supports the stay but wants the stricter standards vacated until new ones can be written. The EPA has asked that the current standards remain in place until new rules can be promulgated. The tribes also want the current rules to remain in place if Levy issues a stay. 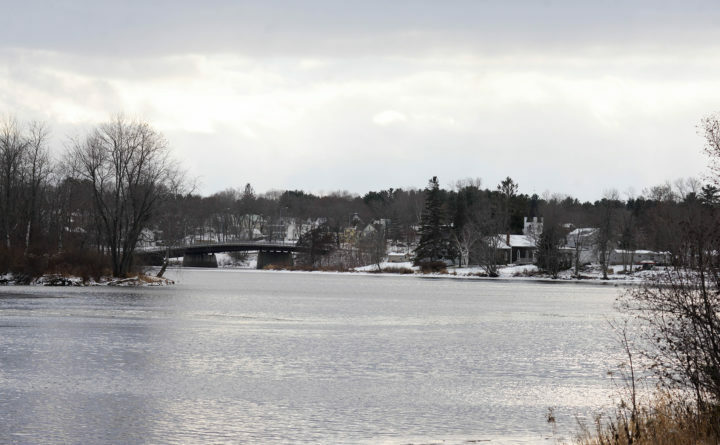 Towns along the Penobscot River, whose officials have expressed concern over the higher standards, are represented by the Federal Water Quality Coalition. In March, it filed a friend-of-the-court brief supporting the state’s position but, as of Friday, had not taken a stand on whether a stay should be issued. There is no timeline under which the judge must issue his decision.